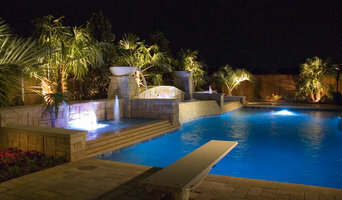 We are dedicated to designing the best lighting system for your home and landscaping. As proof of this, SilverMoon offers a free three-night customized lighting design that we leave in your yard. You are able to see the proposed lighting design before you make a decision. Whether lighting your home, pool, trees, deck, arbor or anything of special interest, SilverMoon has the right application for you. We use the top lighting products in the low-voltage lighting industry. Our installations and wiring methods are above the rest and we offer a five-year warranty to prove it. 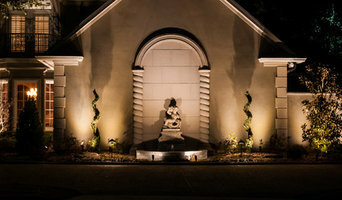 What services do Flower Mound outdoor audio and visual system professionals provide? Home theaters are moving outdoors, too. Sports fans can grill without missing the game, and families can invite neighborhood friends over for movie nights. Special weatherized flat-screen TVs are coated to minimize glare. Imagine your Flower Mound, TX backyard with a custom-designed outdoor theater system — complete with a large projection screen. It makes backyard entertaining easy. Find outdoor audio and visual system professionals on Houzz. Look in Houzz’s Professionals section to find Flower Mound, TX outdoor audio and visual system experts. Narrow your search to the nearest city or metro area for a list of nearby businesses. Get contact information, read reviews and look at completed Texas custom outdoor sound system projects.